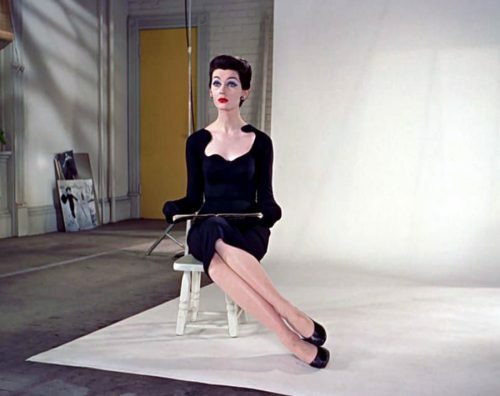 Fashion model Dovima shows you how to sit in a feminine posture in a scene from Funny Face. The art of sitting gracefully, just like a vintage fashion model. Simple beauty steps from the Eileen Ford Model Agency. Sit back in the seat and not on the edge of the chair. Keep chest and bust high, diaphragm flat. Sit on your pelvic bones and not on the end of your spine.. When you approach a chair, do not throw yourself down into it as if you couldn’t go another step. Walk up casually, turn you body slowly so your back is towards the chair with the calf of your leg just touching the edge. With one foot slightly in front of the other, lower yourself slowly by bending your knees, but keeping your body erect. Do not lead with the fanny! Sink down, sitting at an angle, with knees to the right or left, whichever is more comfortable. Keep your knees together, not spread-eagle. Your ankles should be close together – perhaps an inch or so apart, with one foot in back and slightly to the side of the other.Never push your feet under the chair. 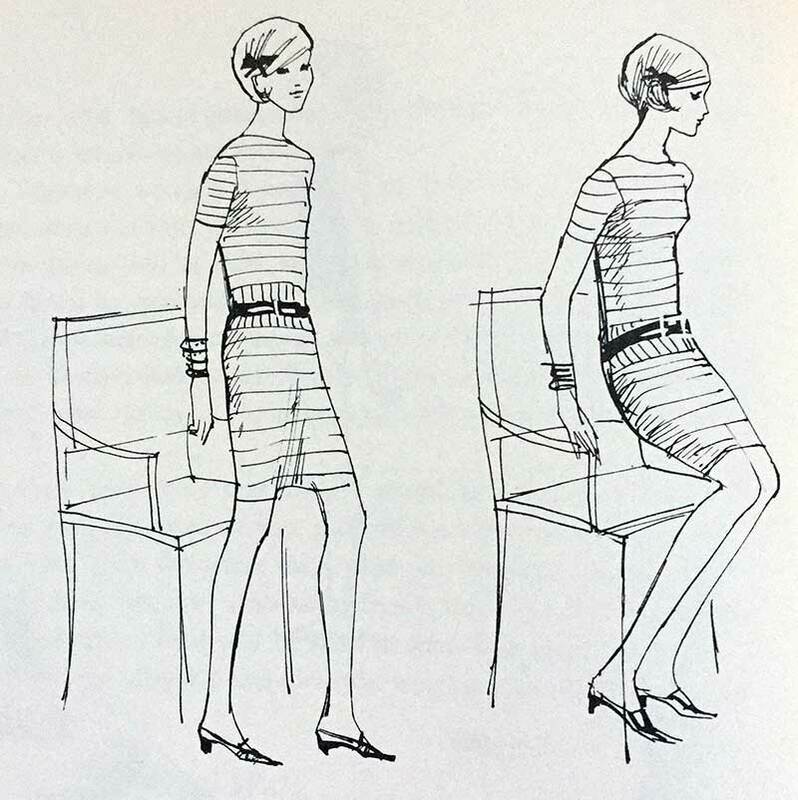 If you must cross your legs, place the knee of one leg above the kneecap of the other – this gives a prettier angle. See that the toes of the upper leg are close to the ankle of the under leg. Now straighten your body with rib cage away from the hipbone. Tip: If you keep your elbows away from your waist, your middle will appear slimmer. Getting out of a chair should be done gracefully too.